A Cut Above Hair Studio is a full service salon with experienced stylists. Our goal is to offer clients the best quality service available in a comfortable and elegant atmosphere. We always strive to establish confidence and trust from our clients. You will always receive a warm welcome when you arrive at our salon. A Cut Above Hair Studio opened in 1980. We moved to 22 Mills Avenue in 1989. The house was once the home of the Payne family, owner of the Payne Music Company in downtown Greenville. O.P. Mills, owner of nearby Mills Mill and early Greenville leader, lived across Mills Avenue in the early 1900s. The house has been restored to a beautiful facility that everyone can be proud of. We invite you to discover what makes us "A Cut Above." 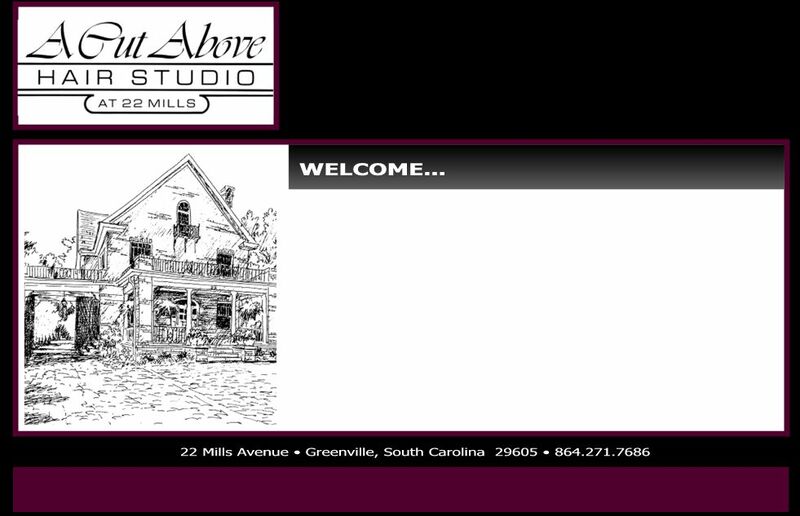 You are invited to call and come by to experience the successful atmosphere we have created at A Cut Above Hair Studio.